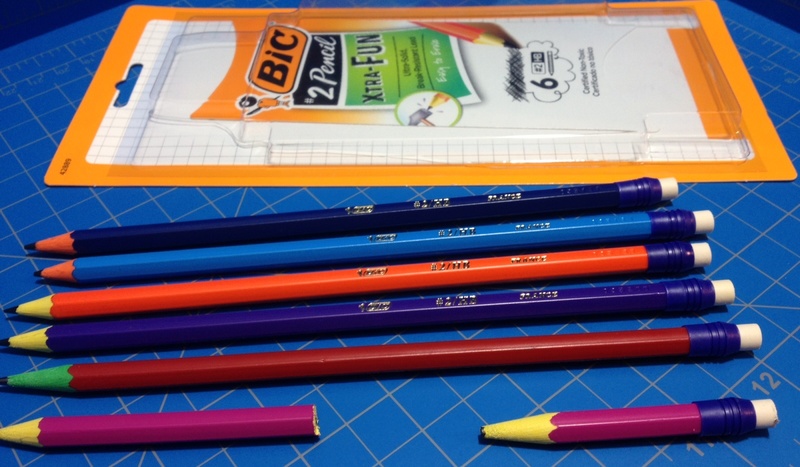 Sometimes I’m a sucker for buying new things for the novelty, and I think that’s what Bic is counting on (except I think their target market is children) with the Xtra-Fun series of pencils. 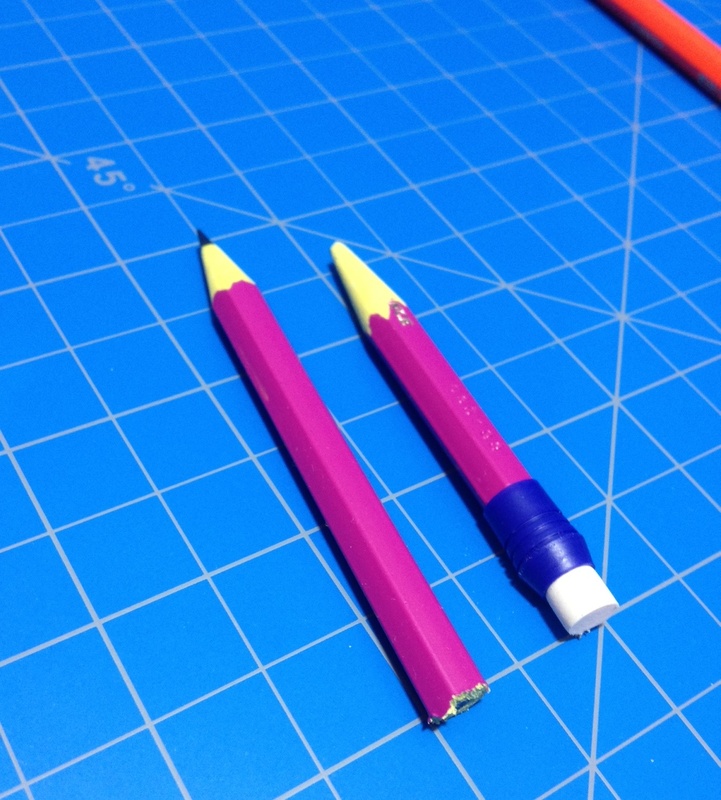 At first (and second) glance they appear to be regular #2 pencils in wacky, fun colors. But are they usable? For the most part these pencils are pretty standard: a “wooden” hexagonal body with general information stamped and inked into one of the facets (each pencil also appears to have a unique number stamped but not inked into it; I am unsure of its significance). 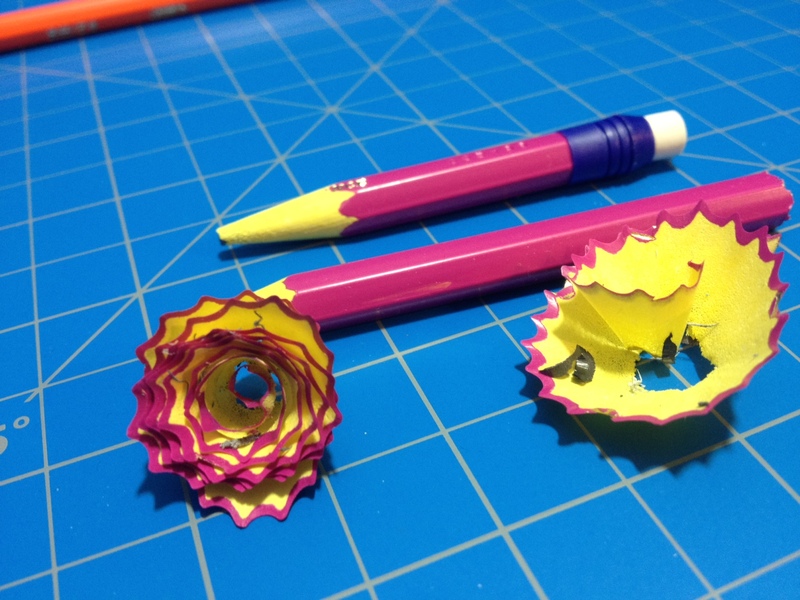 The most obvious differences between them and regular pencils is the bright-colored paint on the outside with the inside dyed a different (usually mismatched) color, and that the standard metal eraser holder has been replaced with a much larger diameter plastic one. The body looks and feels at first like a regular wood pencil, but after sharpening and handling it for a bit I would say that if it isn’t a type of plastic it is a “flaked and formed” wood that uses a different process than most pencils to give it more plasticity. The performance of the lead is as expected, on the soft side of middle-of the road. Not much precision is possible, nor shading; it’s good for scantrons and notes. The eraser is of the white variety, and actually very decent, erasing most typical writing lines without seeming to disappear before your very eyes. In fact, the most disappointing thing about this pencil is its structural integrity. 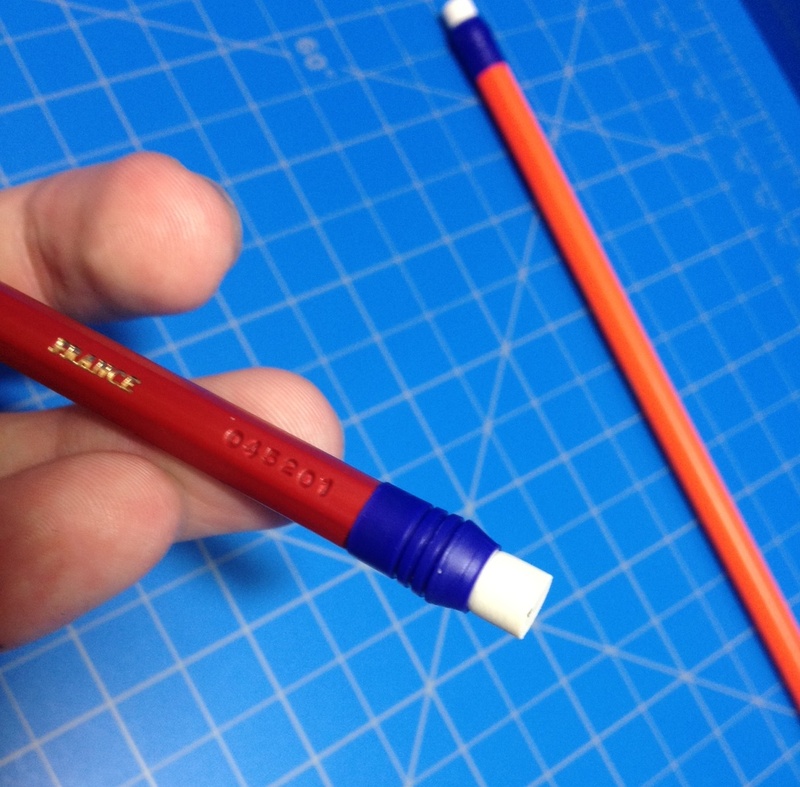 It bends very easily, and much more so than a regular pencil. 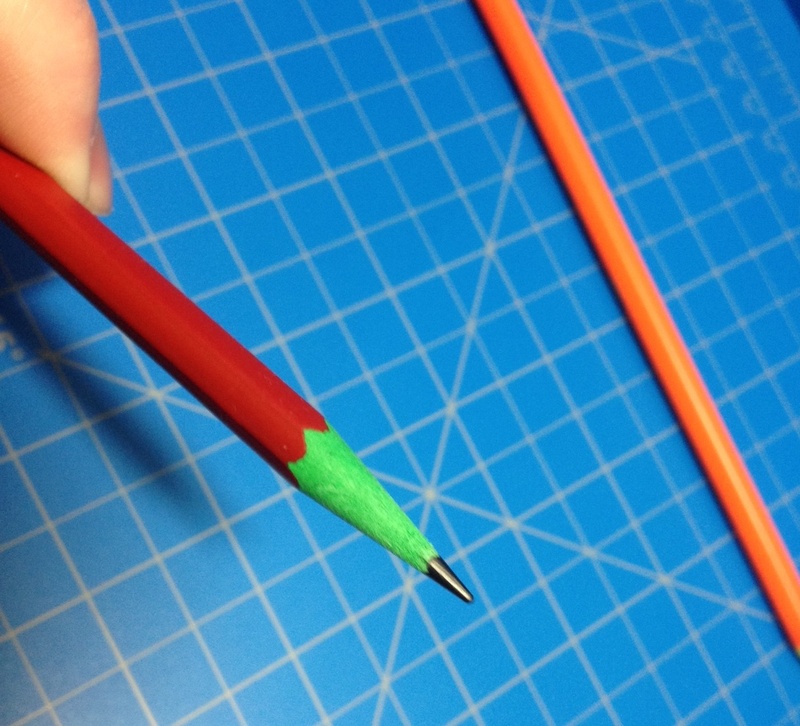 Simply handling it will result in finding out how easily it bends, which is worrisome in general, but added to by the fact that when I was using these pencils I began to sharpen one, and the tip broke off every time I was just getting to a point, down until there was no more pencil to put in the sharpener. 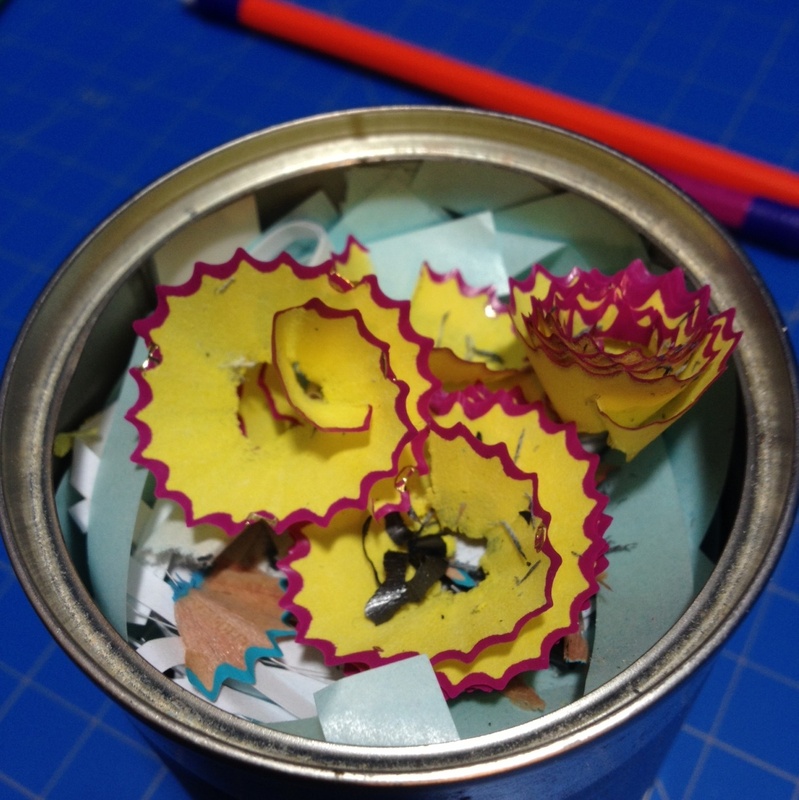 Thus, one of my pencils was rendered entirely useless, and I hadn’t really played with the plasticity of that one, so I would definitely call it a defect, and one that makes it hard to recommend these pencils, especially for children. I probably won’t be buying any pencils from this range again, but that would’ve still been the case had they been good pencils. But with such an easy to encounter (albeit not in the intended usage case) flaw that essentially ruins the pencil’s penciling ability, I have to say I wouldn’t be able to recommend them to anyone. The colors are also terrible but I suppose some have different (perhaps more X-treme) tastes than I, so I can’t particularly fault it there.